LATEST ADDITION: The new release date for TrueGrid® version 400 is April 1, 2019. If you saw this web page at an earlier time, you may recall that we were plannimg to release of version 320. We decided to call it version 400 instead because of the significant number of advances in this version. See the Release Notes for many of the improvements and new features. by ALEKSANDR OBABKO, Argonne National Laboratory, EDUARD TSYRULNYKOV, Kenvelo LLC, ROBERT RAINSBERGER, XYZ Scientic Applications, ALVARO V. TORREIRA, HASSAN NAGIB, Illinois Institute of Technology, ANIL AGARWAL, Ohio State University, PAUL F. FISCHER, University of Illinois at Urbana-Champaign. Generated using TrueGrid® and simulated using NEK5000. See abstract and presentation view graphs. Click on picture to see mjep movie. 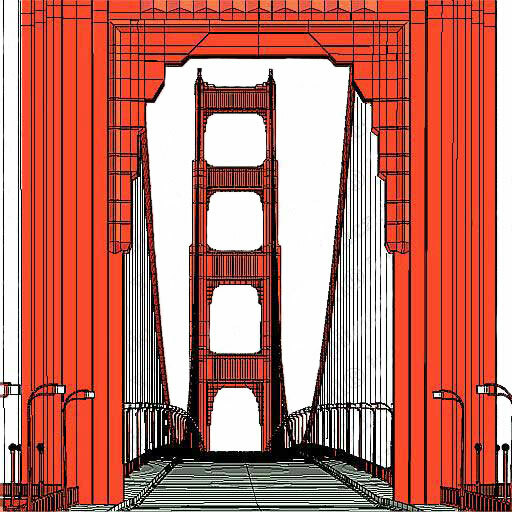 The combination of the homogeneous essentially unidirectional composite developed by Steven Tsai at Stanford and the unique lattice structure designed in TrueGrid® forms a composite structure that is 1/4 the weight of aluminum. The new book "Composite Laminates: Theory and Practice of Analysis, Design and Layup" by S. W. Tsai and Associates contains the details of this proprietary method. 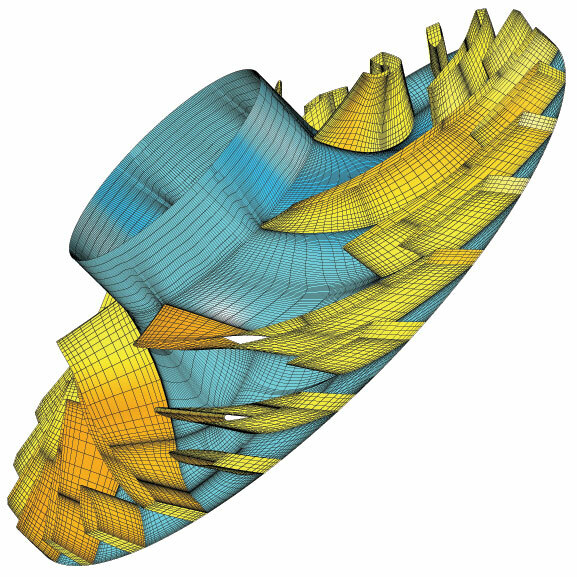 TrueGrid® is compatible with today's most popular simulation codes including Abaqus, ANSYS, LS-Dyna and NASTRAN. 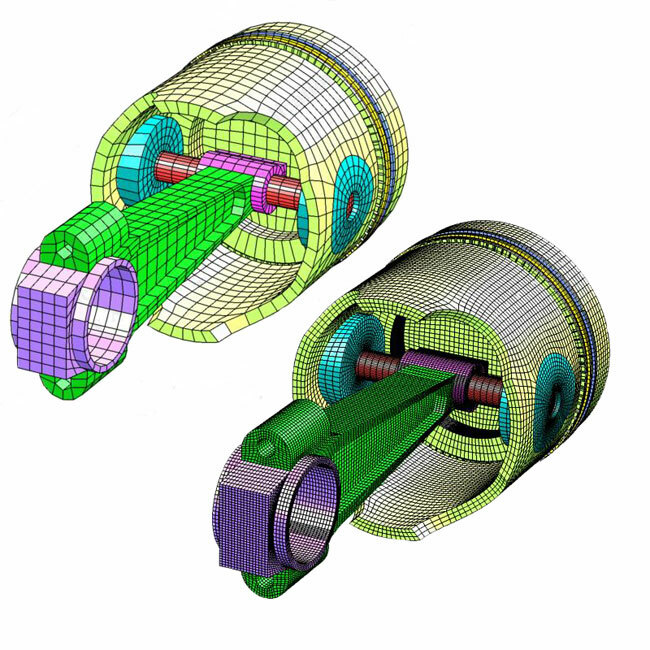 In addition to generating the mesh for these simulation codes, TrueGrid® has pre-processing applications as well. TrueGrid® generates control parameters, options, loads, contact surfaces, and conditions. Element type, section, and material properties can also be specified. 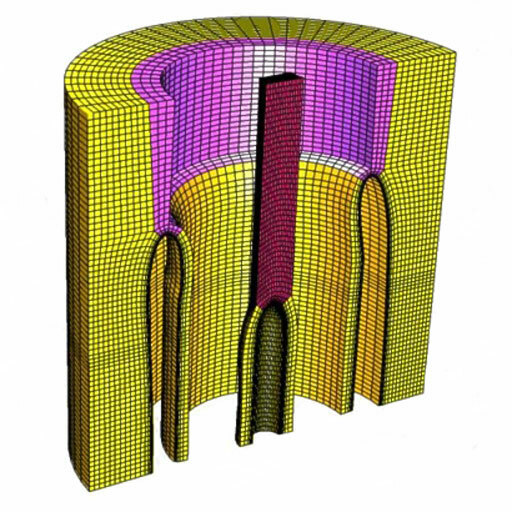 With TrueGrid®, users have complete control over the design of their mesh. All meshes are composed of block structured hex or quad grids. TrueGrid® has an integrated library of element shapes which include 3D hex, prism, pyramid, and tet bricks; 2D quad and triangular shells; 1D beams; and special elements such as springs, dampers and point masses. 3D, 2D, and 1D elements can be linear or quadratic. TrueGrid®'s block structured approach and projection method allows users to create a mesh for either fluids or structures. In addition, this technique makes it easy to build a structure that matches the faces of a fluid, forming a perfect interface between fluids and structures. This method allows TrueGrid® to embed one mesh inside another. 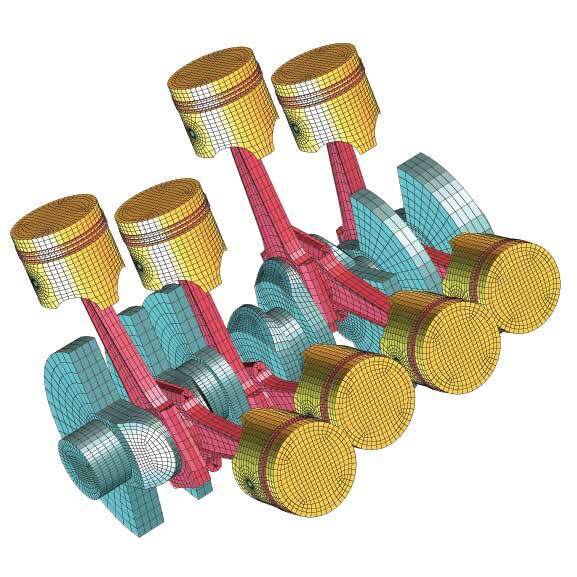 TrueGrid®'s assembly features allow users to build complex models. The block boundary feature ensures exact interface between parts. Transitioning between dissimilar parts is automatic and guarantees the same block boundary precision. Parts are easily replicated to form complex assemblies from simple components. The include feature can be envoked to re-use template parts. 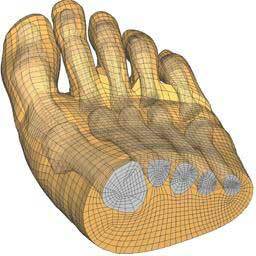 The TrueGrid® projection method conforms the mesh to the shape of the geometry. 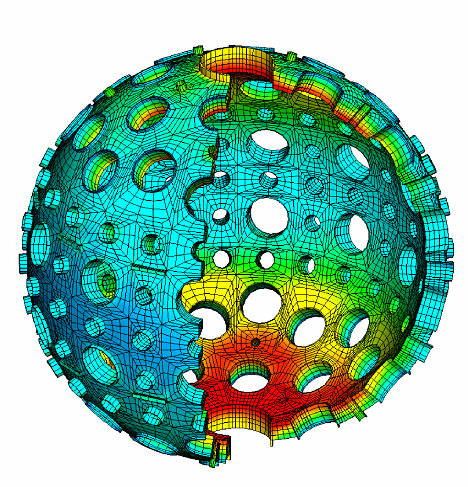 This geometry can come from many sources including IGES, STL or Polygon data files, as well as other non-standard forms of geometry such as biological data, survey data or digital laser-scanned data. With TrueGrid®'s smart geometry features the geometry does not have to be perfect; gaps and overlaps are automatically cleaned-up. Import your own geometry or access TrueGrid®'s vast geometry library. TrueGrid® can be used both interactively and with a scripting file. The scripting language allows models to be continually redefined as the understanding of the problem evolves. Parameters, algebraic formulas, conditional statements, looping constructs, array processing, and user defined functions are all part of the scripting language. Combined with the include feature, the scripting language becomes a programming language in geometry and mesh generation. Your TrueGrid® license comes with a complete support package. Users have access to extensive documentation including a two volume User's Manual with over 1,000 colored diagrams and a comprehensive Examples Manual. You have direct access to expert TrueGrid® users who are ready to help you with your question or problem. Bug reports are appreciated and promptly addressed - experts will help you work around or have it fixed within days of the report.